An excellent video of a high school graduation speech by a student that obviously hasn’t been brainwashed by the system. What’s amazing is that she wasn’t stopped. The second half of the video is of Sir Ken Robinson, on the changing paradigm of education. Well worth the 15 minutes. But we can’t treat the planet like a garbage heap. And think about the future of your great-grandchild. Don’t buy those plastic products on the supermarket shelf. That if we mess it up here, there’s nowhere else we can go. Only one person can do it and that person is you! Is environmentalism the new patriotism? I put this in the Learning vs. Schooling category because this is a perfect example of the difference between learning and schooling. These children are being “schooled.” They aren’t learning anything of value, other than the fact they are helpless to truly impact their world by thinking for themselves. Do people evolve into sheeple, or are they taught? Will they be the future pollution-buster that comes up with some new invention that really might save the planet? Doubtful. They will be too busy protesting, pointing fingers (watch the “moves” of these future American Idols!) and writing letters to “Big Business” and their government to please, please, please stop wasting our precious resources. It’s almost like we are making environmentalism their duty, their new social compact. It’s like instead of linking freedom and liberty with the American experience, we are replacing patriotism with environmentalism. These children will not be contributing to society. These children will only feed off society. And they’ll be pissed off in the process because society will be constantly doing things that they have been told to believe, pollutes and DESTROYS the planet! The sheeple of tomorrow won’t have time to think for themselves, so why include critical thinking in their schooling? Best to use our E-M-O-T-I-O-N-S and feelings. Best to write cute songs that paint with broad brushes. Plastic/Bad, Blind Sheeple Activism/Good. This kind of emoti-think has been used in the environmental movement for decades. 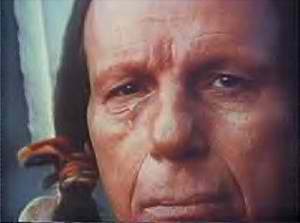 Remember the poor Indian Native-American sitting by the garbage dump, crying? We’ve been made to feel guilty for decades! Maybe rightly so. And maybe it worked. Have things gotten cleaner in the past thirty years? Sure have! Are we better off over-all here in America because we cleaned up our act? Sure. But forget all that. We have a GLOBAL crisis to think about and worry about and cry about now! Something damn near impossible to prove, let alone solve. When did weather reports become climate issues? Reminds me of a phrase: What we expect, is climate. But what we get, is weather. And in Indiana, wait a few minutes and it’ll change. The point here, people, is that we are more susceptible to our emotions and feelings on certain rather large issues than we are likely to admit. Children are more open to this kind of mood teaching. Teaching using feelings rather than facts leads to irrational and illogical conclusions no matter what the science might actually say. This is why “Global Warming” was changed to “Climate Change” a few years ago, because every winter, when it got real cold, people suddenly didn’t care about what environmentalists were saying (because it’s cold, doof!) even though the scientists were pretty darn sure that the coldest winter on record was, in fact, a result of global warming!! If the Catastrophic Weather Events Don’t Get Us, the Irrationality Might | Discoblog | Discover Magazine What the weather’s like affects some people’s beliefs about global climate change, a new study found: On hot days, they’re all over it, but on cold days, not so much. If you care about your children at all, you’ll consider skipping public school and doing something–anything– other than allow your children to be schooled into the herd. Environmentalism is becoming the new patriotism.